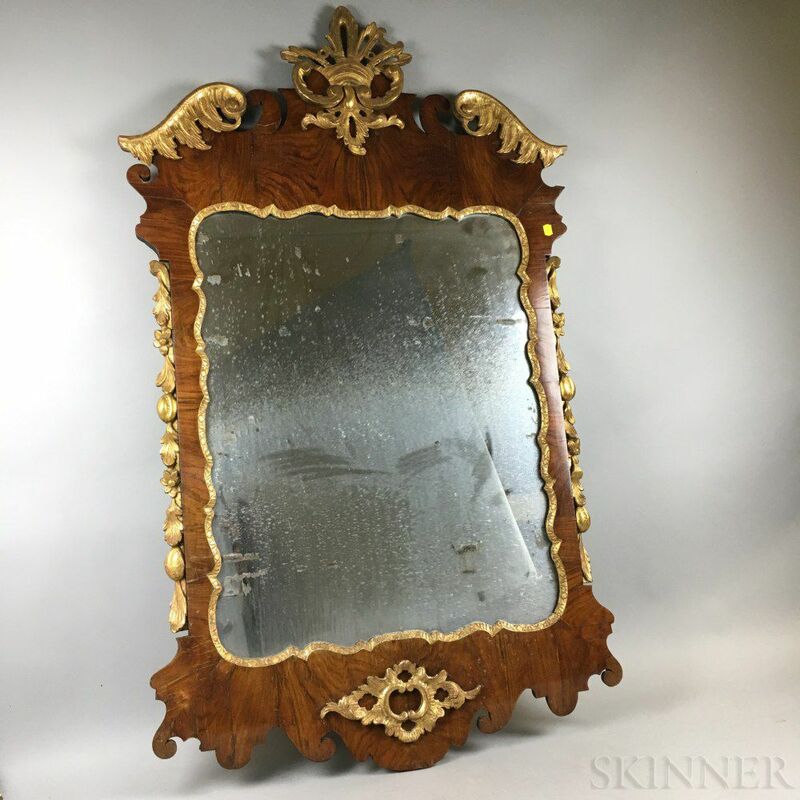 George III Carved and Gilt Walnut Veneer Mirror, England, 18th century, (damage), ht. 53, wd. 32 in.